Whilst in hospital immediately following a stroke or other acquired brain injury, patients receive, and engage in, a structured, concentrated and supervised programme of rehabilitation. However, once they leave hospital patients frequently fail to engage in the rehabilitation exercises provided for them. 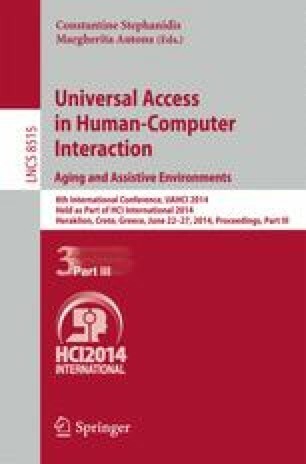 This paper describes how the Microsoft Kinect sensor has been used with computer games to engage patients with their rehabilitation following stroke and other brain trauma injuries. Initially off-the-shelf games were used, the ludic nature of the games, masking the treatment element of the exercises. However, whilst this approach was a great success in terms of patient engagement it was found that off-the-shelf games were frequently too fast or too complex for some patients to play and set-up due to the extent of their brain traumas. To address these issues, a system, PURR (Prescription Software for Use in Recovery and Rehabilitation), has been developed that uses the same ludic principles to enagage patients whilst allowing games to be tailored to a patients condition, requirements and interests.